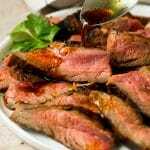 This flank steak marinade is a sweet and savory blend of olive oil, garlic, soy sauce, brown sugar and spices. 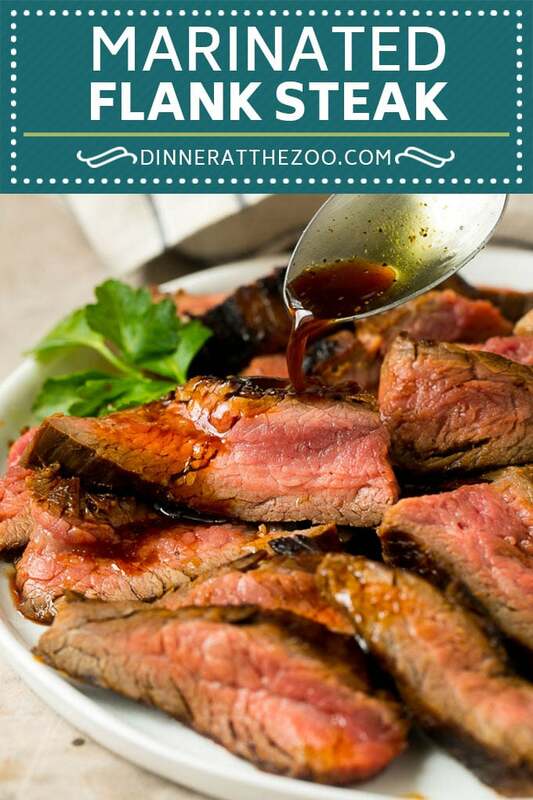 It produces tender and juicy marinated flank steak every time! 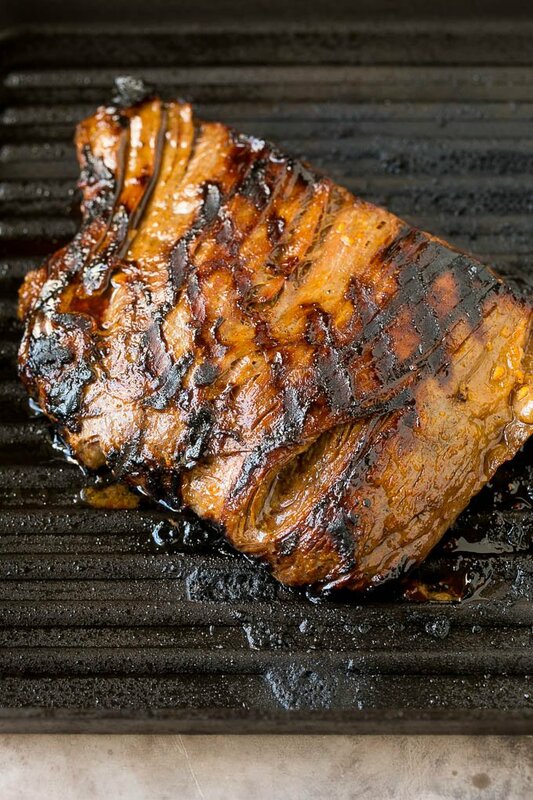 When the weather is nice I fire up the grill and make some marinated salmon, chicken tenders, or this fabulous and easy flank steak. This marinade will work on all cuts of steak, so feel free to get creative! I love a tender and juicy grilled steak, and one of the best ways to add flavor to your meat is with a marinade. 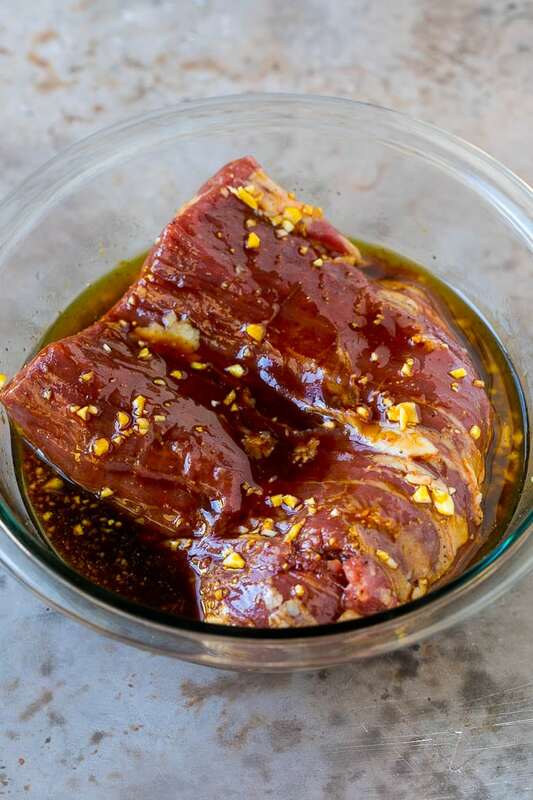 This flank steak marinade takes just 5 minutes to put together, yet imparts so much flavor. I love to serve this flank steak when I’m entertaining, everyone always asks me for the recipe! 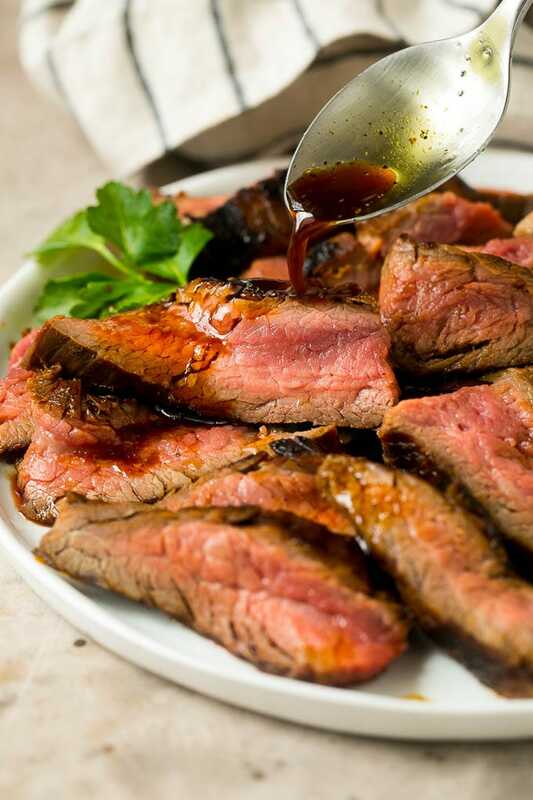 How do you make flank steak marinade? This marinade is a salty-sweet mixture of olive oil, soy sauce, brown sugar, Dijon mustard, garlic and Worcestershire sauce. Everything gets whisked together, then you can place the meat in a bowl with the marinade, or instead make the marinade in a gallon sized freezer bag and add the meat to the bag. Using a freezer bag saves on clean up time later on! 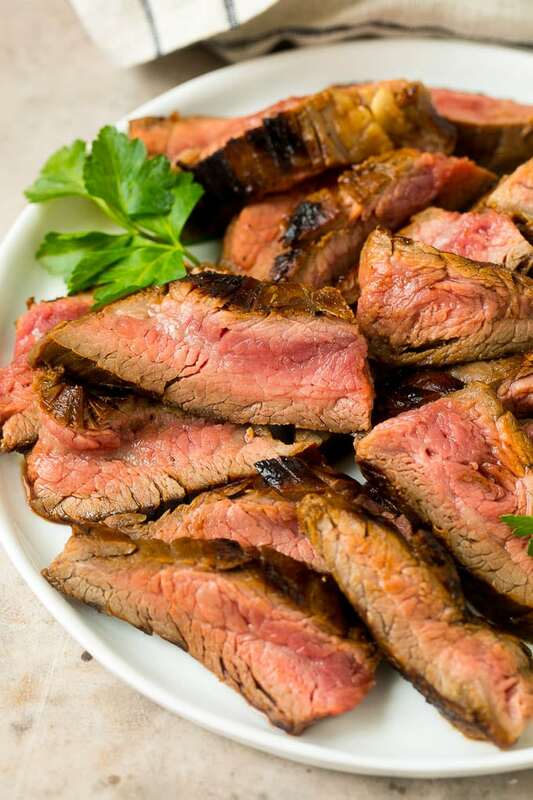 Can you marinate flank steak overnight? Flank steak can absolutely be marinated overnight. I recommend marinating your steak for a minimum of 2 hours, or up to 24 hours. HOW LONG DO YOU COOK STEAK? I typically cook my flank steak for about 5-6 minutes per side, which leads to meat that’s cooked on the outside yet still pink in the center. The best way to gauge for doneness is to use a meat thermometer. I recommend cooking your flank steak to medium, which is an internal temperature of 145 degrees F. If you don’t want your meat to be pink, you can cook it to 150 degrees F for medium well, or 160 degrees F for well done. It’s important to slice your flank steak against the grain so that it’s as tender as possible. You can find the direction of the grain by looking at your meat and seeing which way the muscle fibers run. Make sure to cut across those fibers rather than parallel to them. I typically grill my marinated flank steak, either outdoors on a charcoal grill or inside on a grill pan. You can also bake, pan sear or broil your meat if you prefer. This recipe makes enough marinade for about 1 1/2 – 2 pounds of meat. If you’re cooking for a larger crowd, simply double the marinade amount. You’ll want to scrape the pieces of garlic off the meat before you cook it so that the garlic doesn’t burn on the grill. I like to reserve a few tablespoons of marinade before the meat goes in, then drizzle that marinade over the top of the cooked steak for added flavor. 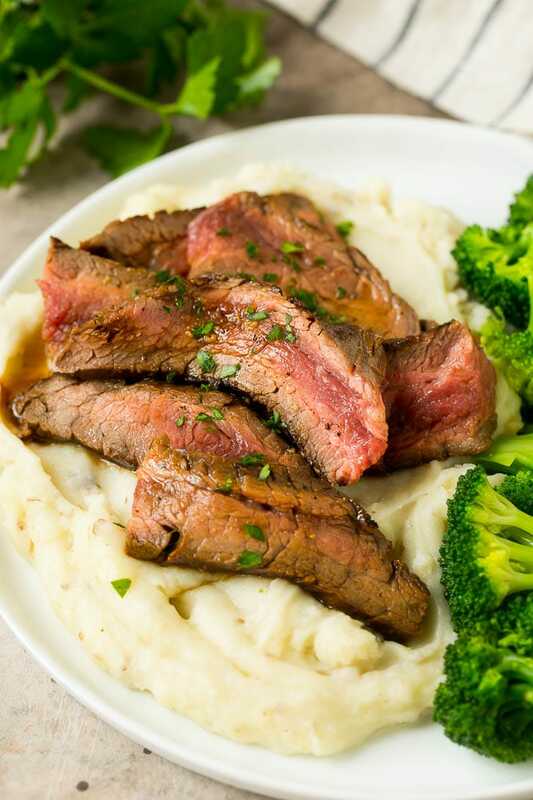 Serve your flank steak over mashed potatoes or rice with a steamed vegetable on the side. This steak is also great for salads or as a taco filling! While this marinade pairs perfectly with flank steak, it’s also fabulous when used with New York strip steak, sirloin, filet mignon or ribeye steak. It’s a recipe you’ll find yourself using all summer long! Combine the soy sauce, olive oil, brown sugar, cider vinegar, Worcestershire sauce, mustard and pepper in a resealable bag; seal and shake to combine. Reserve 2 tablespoons of the marinade for later use. Stir the garlic into the bag of marinade. Add the steak and marinate for 2-24 hours. Heat an outdoor grill or stove top grill pan to medium-high. Place the steak on the grill and cook for 5-6 minutes per side, depending on the thickness of your meat and the desired level of doneness. Remove the meat from grill and cover with foil. Let stand for 5-10 minutes and then slice thinly against the grain with a very sharp knife. Drizzle with reserved marinade, then serve. 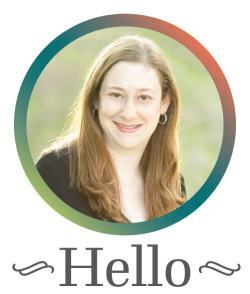 This post was originally published on August 3, 2015 and was updated on March 28, 2019 with new content. This looks so good! Love how juicy that steam looks!